Hives are an allergic reaction that takes the form of itchy red bumps or welts on the skin. When your body is allergic to something, it can release, high levels of histamine and other chemicals that make your skin develop hives. This often results in pinkness or redness, as well as extra fluid in the tissues, which causes swelling and itching. Hives are very common – one out of every five people will have hives at some time in their life. It’s not clear why some people get hives, while others don’t, and the “triggers” associated with hives are so numerous, they fit the category of “everything in the world.” Just for starters, hives can be caused by sunlight, heat, cold, pressure, stress, viral infections, or medications. Name anything that can cause an allergy, and it can also cause hives, including grass, pollen, dust, dander, dust mites, shellfish, and other foods. The triggers will be unique to each person. If you or your child has hives, they may have raised round wheals that look like mosquito bites. The wheals are red on the outside and white in the middle. Hives are normally very itchy, but can also sting. A single wheal often lasts around 24 hours before fading without a trace. The wheals appear in batches or clusters. New batches may develop as old areas fade away. Often the wheals join together to form larger swellings. The area of affected skin can vary in size from quite small to as large as a dinner plate. Hives will usually go away within a few days, but may last weeks. Hives can look or feel unpleasant, but usually, they are harmless. 2. Soothing Skin: During hive breakouts, cool compression is a great tactic to help shrink blood vessels and ease swelling. Use a natural anti-inflammatory Body Lotion to help give some soothing relief and calm the itchiness and inflammation. Alcohol: Alcohol may aggravate hives and may not mix well with medications. 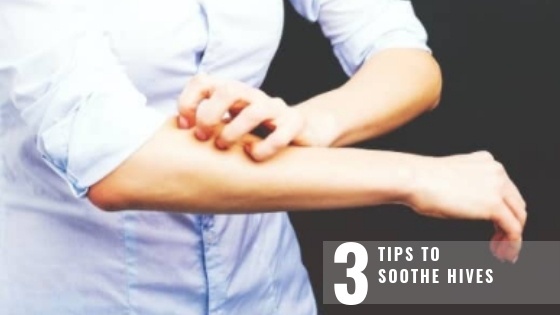 Aspirin and NSAIDs: Pain relievers such as ibuprofen or naproxen can trigger or cause hives, and you should look to acetaminophen if you require an over-the-counter pain reliever. Heat: Try to work or sleep in a cool room, and avoid activities that can increase your temperature. Look for ways to cool affected areas, including a cool shower, fan, cooling cloth or soothing lotion. Tight clothing: Clothes rubbing against hives or putting pressure on them can aggravate them. Look for loose-fitting, lightweight clothes, and stay away from wool and other itchy fabrics. Hear directly from our lovely customer Mia sharing her experience & experiment of using our Body Lotion on her Hives. This is my hives on my legs after I mowed the lawn, the dots normally last a week, after with no help from antihistamines! (I’m allergic to grass). You can see for yourself, the little experiment I did, since I wasn’t convinced the Body Lotion would work ? 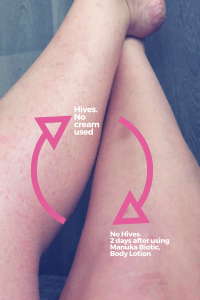 – My left leg is still covered with hives and my leg on the right the hives are completely gone after 2 days using the cream! Thank you so much! I’m so grateful. This is life-saving! You have made a customer for life out of me! Thank you!!! Honestly so impressed!!! Much love and happiness for your weekend! Thick in texture and rich in emollients, the Manuka Biotic Body Lotion moisturises even the driest of skin, creates an effective barrier, reduces inflammation, and fights bacteria. 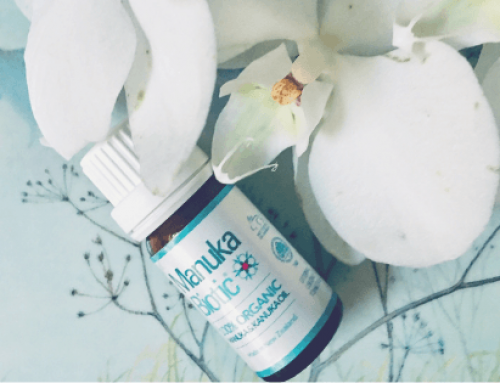 Organic New Zealand Manuka Oil, known for its amazing healing powers, is combined with organic, tree, nut-free oils to create this gentle, nourishing manuka oil product that will not irritate the skin. 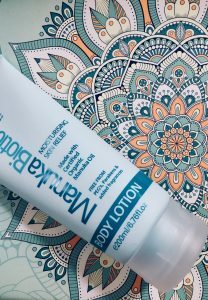 Our Manuka Biotic Body Lotion is a surprisingly soft and creamy balm, that’s excellent for healing open wounds and soothing irritated hives and other itchy skin conditions. 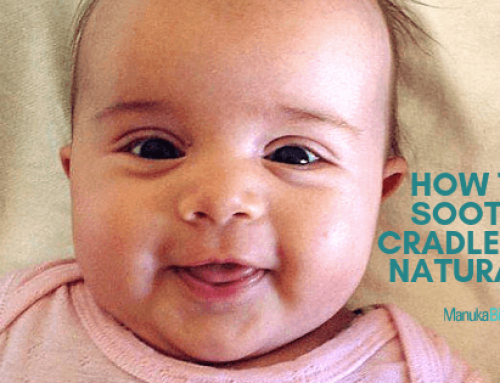 We use the worlds only certified organic Manuka oil. All our products contain potent antibacterial, anti-fungal, anti-inflammatory properties to help soothe and repair the skin. Our products are 100% New Zealand made. 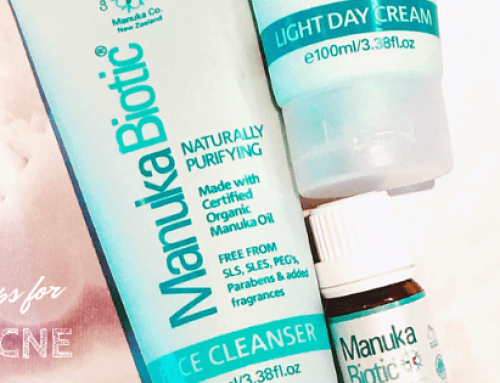 Manuka Biotic® is natural skincare for the whole family, giving you access to the potent power of Manuka Oil. Please read the full ingredient list for any known irritants or allergies. We advise trying new products on a small patch of skin and waiting 24 hours to make sure there is no reaction. 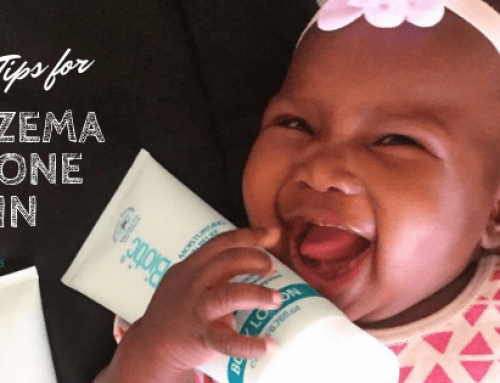 Any natural product on the market could contain an ingredient that won’t agree with your skin.